In the coming years, more baby boomers will reach retirement age. However, this doesn’t mean that they will all retire once they reach the age of 65; an increasing number of boomers are working past retirement as a means to save money or, quite simply, to remain a part of the workforce. Seasoned employees can be beneficial to your company, as they already have valuable experience, but their skills may require updating. Some seasoned employees are even anxious to update their skills so they can remain competitive in the workforce. 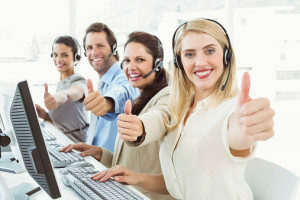 3C Contact Services knows that for call center agents who have been with your organization for several years, they’re going to need to update their skills to reflect the changing workforce if they wish to remain competitive. And if they choose to leave, well, they may just find that they are woefully unprepared. 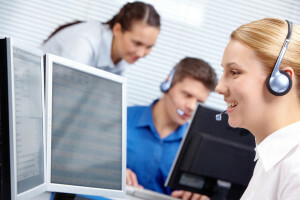 Try pairing new agents with seasoned employees at your call center. Since new agents need to receive hands-on training, this is the perfect way to train both employees while providing mentorship to the new hire. In certain cases, new employees can also help train staff members that have been with your organization for several years. That’s because some “newbies” may be well-versed in new technology and will be able to train your seasoned veterans. Make sure that your agents, regardless of their level of experience or seniority, are aware of opportunities to update their skill sets. This can include having them train employees on new solutions your organization is implementing or sending them off-site to learn new skills. Seasoned staff doesn’t just include agents who have been with your organization for several years; it also includes managers and supervisors. Keeping their skill sets up-to-date is equally important, since it contributes to workplace productivity, safety, and satisfaction. Finding time for training might be a challenge, but it is still strongly recommended that you set aside time to provide your management team with regular training to upgrade their skill sets. If it’s possible, offer an incentive for your seasoned staff employees to upgrade their skills. While the chance to upgrade their abilities may be motivation enough, offering an incentive, such as paid training, may be enough to push your staff to attend a training session.